James Knight has been pondering the existence of the supernatural, but concludes that the challenge is to determine what is true. James Knight has been considering the call, in scripture, for wives to submit to their husbands, and shares with us his interpretation of that instruction. Regular columnist James Knight thinks back to the snow we had this winter and finds encouragement for those of us who consider our contribution to the Kingdom of God to be insignificant. Regular columnist James Knight provides us with his personal analysis, as a Christian, of the US president. Regular columnist James Knight offers his reflections on one of Jesus’ harvest-related parables. Regular columnist James Knight argues that responding to the best qualities in others, and in ourselves, is the best way to live our lives. Foodbanks – national disgrace, or Grace in action? What kind of political party would Jesus lead? Christianity - A trick of the mind? How can wicked people like Hitler be saved? 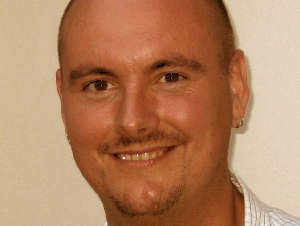 James Knight is a regular columnist for Network Norwich & Norfolk. His weekly articles take a look at different aspects of the Christian faith. His views are personal ones and are intended to stimulate constructive debate amongst website users. We welcome your thoughts and comments, posted at the bottom of the relevant article. We would ask you to abide by our forum rules and may delete any comments which do not. James is a Christian writer and local government officer based in Norwich. "We are considered as one of the best escorts service..."
"Hello Barrie me ole’ son! I hope all those..."
"God is a big subject -- and many of us are tired of..."
"Oh well. If there was a sub text it was so sub as..."
"Thanks for the post. " "It was quite engrossing to me and really great to..."
"It is really great that we will continue to search..."
"It is difficult to make people stay motivated on one..."
Can religious belief make people worse? Has our country lost its spiritual heart? Has humanity progressed over the centuries? Will all be saved in the end?